A favourite of celebrities and royalty, this doll’s pram will enchant any little girl and set their hearts aflutter upon first glimpse. If you have some cash to splash, is there any reason to look any further than Silver Cross? My daughter would love to get her hands on this graceful, regal looking ride for her doll collection but unless we win lotto, the chance of her owning one is small. Silver Cross pride themselves on class and quality and these miniature replicas of the classic Balmoral model are no exception. 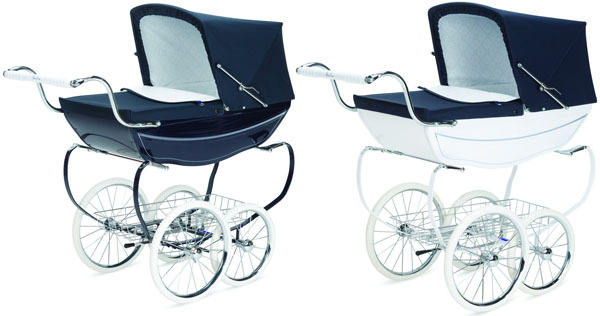 They’re made exactly the same way they have made their prams for the past century – hand fashioned using the finest of hand-crafted materials and finishes. 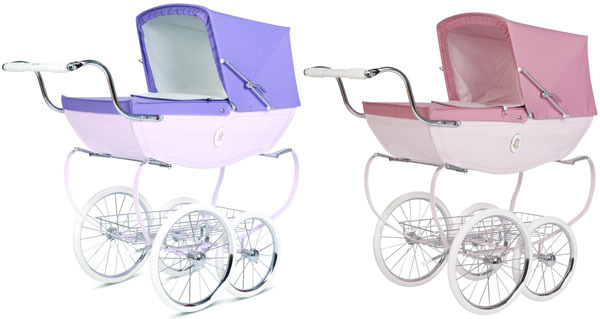 Doll prams have the same classic body design and chrome spoked wheels, reclining hood with coordinating leather strap suspension and matching changing bag. There are two styles to choose from, the classic Oberon which comes in navy or navy and white. For little girls who prefer something a little more feminine there’s the new Cottingley model in Sugar Plum with a sugar plum fairy porcelain plate or the Pink Rose colour with rose porcelain plate. This doll’s pram is indeed a serious investment and a worthy contender for a family heirloom as they will surely be passed on lovingly from generation to generation. 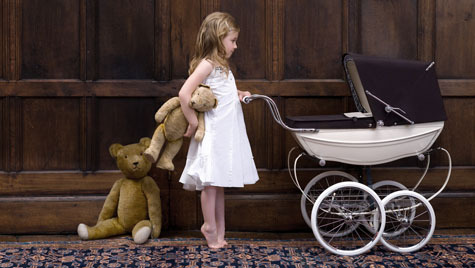 Both the Oberon Doll’s Pram and the Cottingley Doll’s Pram are priced at $1199 and available for purchase and delivery from Metro Mum.